The Membrane interface has undergone a number of changes with the release of COMSOL Multiphysics version 5.0. This includes a restructured menu, new feature nodes, improvements to the Linear Elastic Material model, and support for the Hyperelastic Material model. You might remember the Nonlinear Structural Materials model Inflation of a Spherical Rubber Balloon. We have now rebuilt it using the Membrane interface. I will discuss these changes and the new model in today’s blog post. To begin, I would like to highlight several changes in the Linear Elastic Material model of the Membrane interface. First off, the previous version of the interface always assumed geometric nonlinearity. The new version listens to the “Include geometric nonlinearity” setting in the study step settings in the same way as the Solid Mechanics interface. The geometric linear version of the membrane can be used when it is acting as cladding on a solid surface. If the membrane is used by itself and not as a cladding, a tensile prestress is, as before, necessary in order to avoid singularity. This is because a membrane without stress or with a compressive stress has no transverse stiffness. To include the prestress effect, you must enable geometric nonlinearity for the study step. 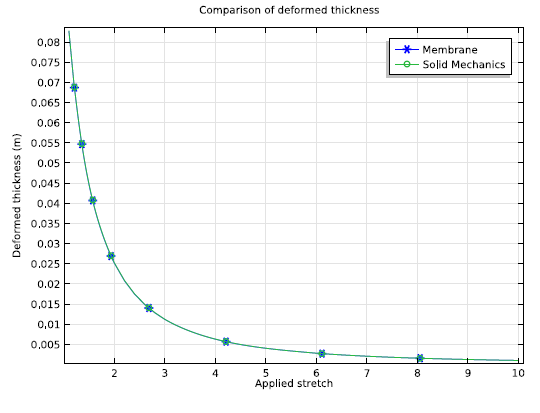 Another update is that linear elastic materials can now also be orthotropic or anisotropic. This affects the settings of the Damping subnode as well, where non-isotropic loss factors are now allowed. All of you who use the Nonlinear Structural Materials Module may now use the Membrane interface to model thin hyperelastic structures by adding a Hyperelastic Material node. In order to illustrate the Hyperelastic Material model using the Membrane interface, we have recreated the Model Library example Inflation of a Spherical Rubber Balloon. 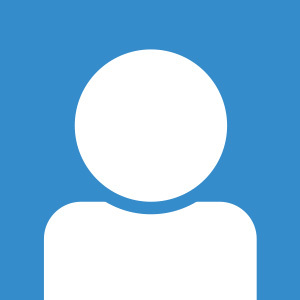 Tip: You can download the new version of the model in the Model Gallery by logging into your COMSOL Access account. The Membrane interface works on the plane stress assumption, and it is assumed that there is no variation across the thickness of the balloon. Also, it requires a prestress to solve the model due to the absence of bending stiffness in the membrane. For this purpose, a separate study has been created before the inflation of the balloon is carried out in further studies. Results from this analysis are used as initial values for the rest of the inflation analyses. Aside from these two changes, the model is similar to the previous Solid Mechanics version. The advantage of the Membrane version is that it is more computationally efficient. Why is that? Because the Membrane interface is on one geometric entity lower than the Solid Mechanics interface. The results obtained from the Membrane interface are in agreement with the analytical results. 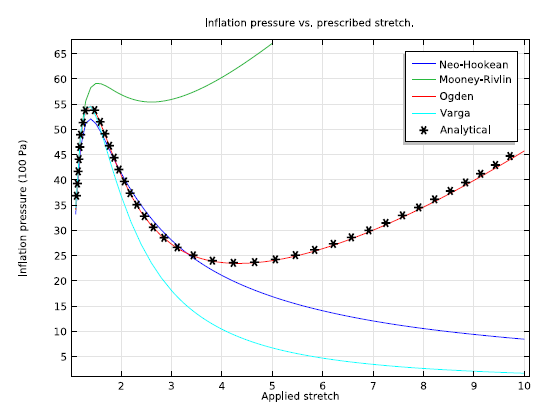 The plot below shows the inflation pressure as a function of circumferential stretch for different hyperelastic material models compared to the analytical expression for the Ogden model. As the internal pressure increases, the balloon starts to inflate and its thickness decreases. Since the pressure is uniform over the surface, the thickness is the same along the cross section for any given inflation pressure. The next plot compares the variation of deformed thickness with applied stretch to the balloon obtained from the Membrane interface and the Solid Mechanics interface. We see that the thinning of the balloon is accurately captured by the Membrane interface. We have added four new feature nodes to the Membrane interface. In addition to the specific improvements I just went over, we have made a few general changes to the structural mechanics interfaces that affect the Membrane interface. You will notice that the menus have been restructured for a number of structural mechanics interfaces. As for the Spring Foundation features, we have generalized these so that you can enter the “spring force versus displacement” and the “damping force versus velocity” relations in matrix form, rather than by component. For 2D Axisymmetric cases, there is a new load type called “Point Load (on Axis)”. With this option, it is now possible to apply loads on a point on a symmetry axis. For 2D Axisymmetric cases, a Point Load is actually a line load (N/m) since a point represents a ring in axisymmetry. To follow better naming conventions, such a load is now called “Ring Load” in both the Solid Mechanics interface and the Membrane interface. 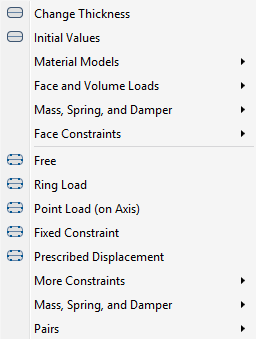 Models that were made with COMSOL Multiphysics version 4.4 or earlier still use the old Membrane interface and new functionality is not available. To utilize the new functionality for old models, we suggest that you add a new Membrane interface and copy all the nodes from the previous interface to the new one.